This is a one-of-a-kind mixed media 18" x 24" on stretched canvas with staples on the back. Sides are painted, wire on back, ready to hang! Signed on the back. Comes with a certificate of authenticity. 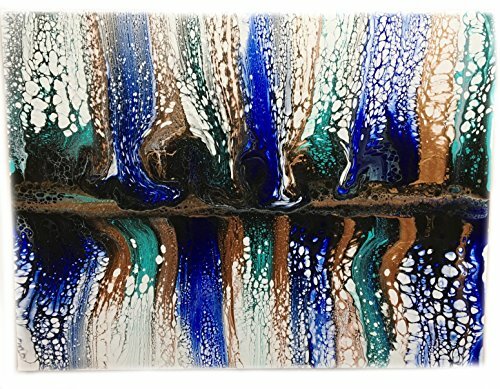 This painting is poured using fluid acrylics. The acrylic paint contains silicone, water and pouring medium. and paint conditioner. Painting has been varnished for protection and shine. I have been selling my art for 14 years now, so you can trust it will be shipped properly and with great care! If you have any questions about this product by Juli Cady Ryan's Whimsical Fantasy Art, contact us by completing and submitting the form below. If you are looking for a specif part number, please include it with your message.